Nice review and I agree with most of what you have to say. There are some things that stand out in this movie in my opinion. The first third of the movie is good, energetic and makes me interested from the get go. The music is, as you said, very fitting and I like it very much. All actors do their part and most of them are used well. I agree with you that Cotillard isn’t used enough and her story is in my opinion weak. I also don’t like Jude Law’s character, he annoys me, haha. I also think the movie doesn’t have a very powerful ending which such a movie is worthy of. Those are just some of the points I can think of, I wrote more in my own review for those interested (see below). I gave it a modest 3/5, but I agree it’s better than the standard mainstream Hollywood-product one might expect. I also agree there are similarities to Traffic (his best movie to date). 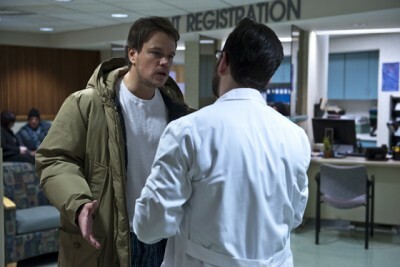 Here’s what I wrote about Contagion. Thank you, MN! Always nice to hear what you have to say. Jude Law’s character (or, rather, his story) was one of my favorite parts of the film. 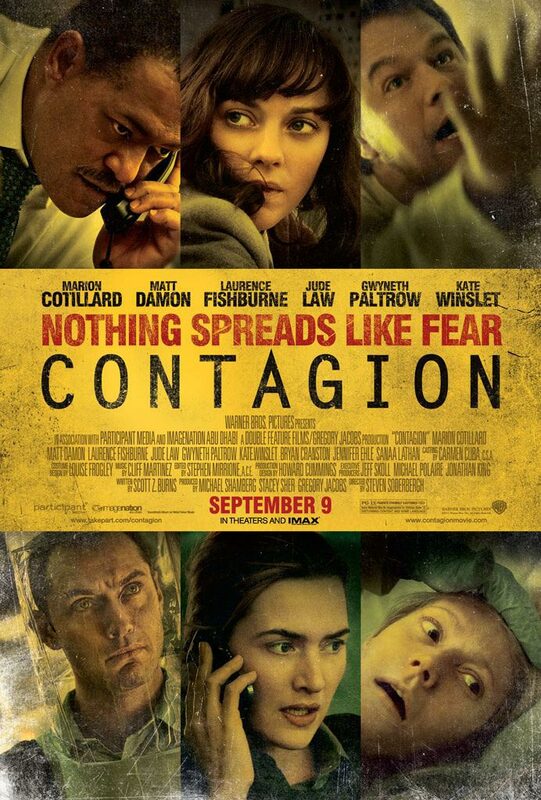 It helped nail down one of the film’s taglines: “Nothing spreads like fear”. 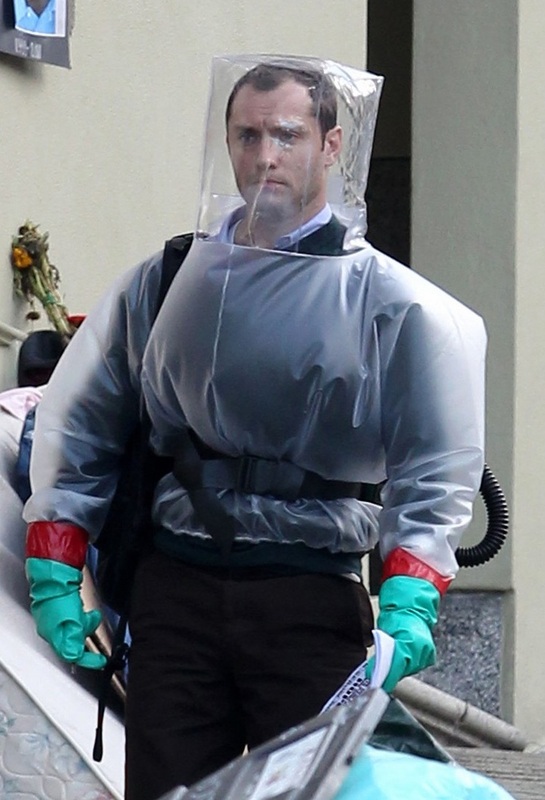 It shows the role online interactions will have in the event of an outbreak, which makes for an interesting contrast: when people are advised to avoid physical contact, communicating online will be more important to us. Many movies are like what Alan says, where the government and organizations conspire and keep things hidden from the public. And yet here’s the opposite: it’s the man who claims to reveal the truth that might end up causing more harm than good. Alan might not be likeable, but he’s a crucial part of the film for me since he’s the only character to provide this angle. Remove him and the film loses this unique viewpoint. I can’t say I agree about the ending either. Once I got into the groove and atmosphere the film presented, I figured it would end in the manner it did: not with a bang but with a smooth gradual release. It felt appropriate. The thing is, I probably dislike the character Jude Law plays because I dislike those kind of people in real life, the ones that get away with things like he does because he’s a pain in the @ss ;) But I fully agree that he’s an important character and gives the story something different, and something that is very important in today’s world – the internet and the media. Personally I like the 70’s (in movies) when the government DID get away with it which gave the movies in those days that feeling of paranoia and conspiracy that today’s movies lack. But the whole world was different in those days. And about the ending, I guess that because the movie got off to such a fast start, I kind of felt it went the other way from there and even though I don’t have anything against that, the ending (and most of the second half of the movie) didn’t live up to the very exciting first third. But that’s just my opinion of course. It’s weird how we have so different views on the first act of the film. I felt it was a bit slow and took its sweet time to really seize my interest. Not sure if you were referring to Alan specifically with “the ones that get away with things he does”, but there’s nothing in the film that say that Alan gets away with anything. Sure, bail was posted for him so he doesn’t have to remain in custody, but that doesn’t mean he’s free of charges. He’ll still be heading for trial and could very well end up in prison. Haha, yes it seems that way. Maybe that’s because the movie starts off right away, without any credits or build up. We jump right into it and the virus has already started to spread. That’s what I liked about it, but after that the movie focuses a bit too much on the vaccin as I see it. Hmm, regarding Alan, I meant that had this been in the 70’s, they’d shut him up before he became a problem ;) I like it when the “big man” wins and the conspiracy is kept a secret (even though this wasn’t really a conspiracy movie, but you get my point). To me, he (the character) was also kind of irritating which didn’t help me liking him any more. It’s definitely believable – they put a lot of effort into getting the science right as it appears to me – but not altogether engaging I’m afraid. Too many subplots and not enough of emotional investment to any of them. This said: I enjoyed it well enuogh and it got a 4/5 rating from me as well. Yeah, I read some interviews with real scientists and researchers where they praised how accurate the film was in the details. So it sounds like it’s a job well done.